I have a simple sold gallery in place and can have a lot of power for displaying images. Here is the link. If you are wanting to participate in this forum and website. And you have a website that is active. Why not share it now. 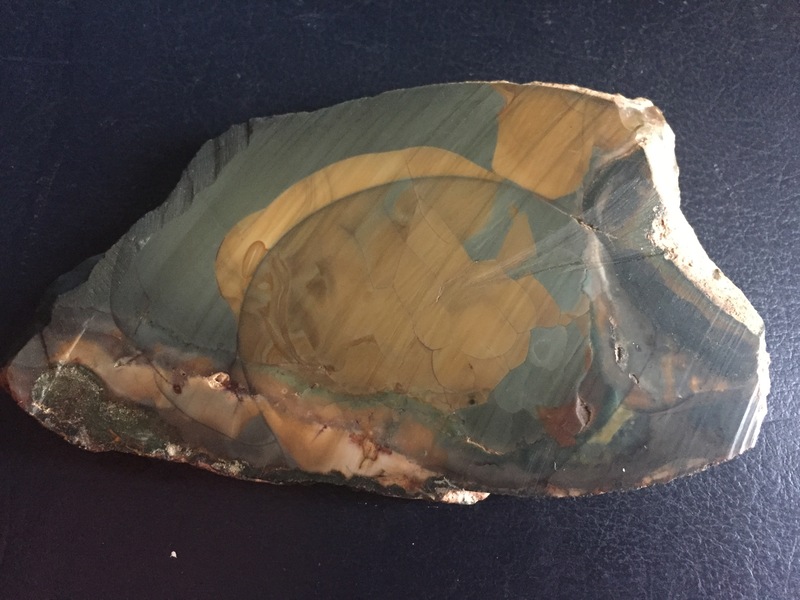 Post it here and if I find it active enough for cabochon and lapidary I will share it to the links page. It will get a screen shot and show up as an active link for everyone to see. The Grind is a simple forum, lets keep it informative and simple. 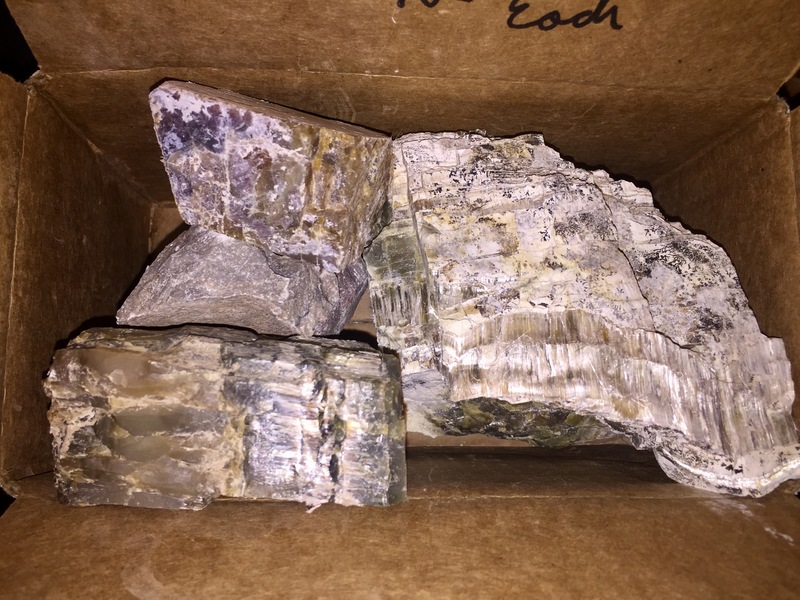 I do not plan to open this forum up to the whole lapidary world and would like to keep it centered around cabochon cutting, guides, some identification, and market analyst. It will be meant to inform and educate the buyer and seller in the cabochon markets. This was from rough I had for years and cut several personal / collector cabochons. 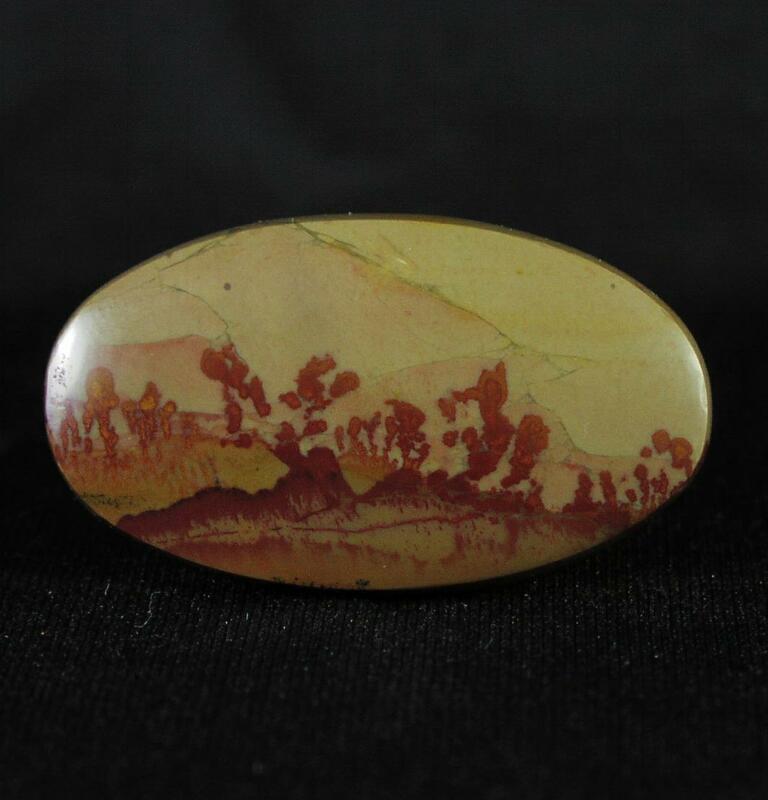 I enjoy the elongated oval shape which I feel works great for Landscape or picture stone type cabochons. In the last few years there has been a push to use Facebook to sell ones cabochons. I have seen and read about how mixed the reviews are. I picked up just a couple pieces of this material a few months ago and have yet to work it. The seller stated it would need to be stabilized even though it seems rather hard. It is not like the old material that was more of a lighter blue color but comes from the same mine. Anyone have any experience cutting this material? I’ve had this piece in my collection for 15 years. I cut it from a rather small piece of windowed rough, then trimmed one side a bit. I am thinking I would like to cab it, but it would be a full size cabochon. 4.5 inches on the long. You do have the option to attach photos to this forum, but they are resisted to no larger than 512kb, and will be displayed small thumb size. They are clickable but only view able to members logged into the forum. Also known as Chrysotile in Serpentine. I got this material yesterday from Isaac at Gallery TCR in Tempe. Watch them for feeds on materials and cabs for sale. I spied this rough in one of his live feeds on Wednesday and went down Thursday to pick some up. He has more. In order to use this website as a participant, You must register. 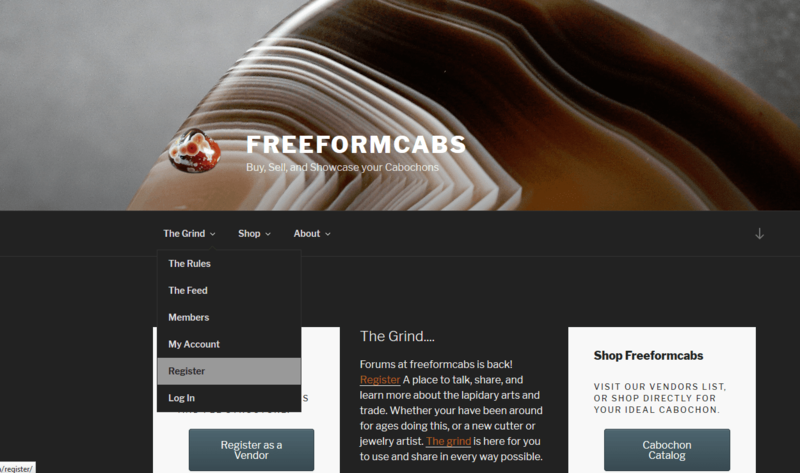 If you are a buyer you do not have to register to this website unless you want to interact in the grind. To register follow these steps. 1: Click on the register link found in the header, footer, or throughout the website. In both the Grind and the Feed you have a displayed avatar like any forum or social site. You have a couple ways to change it.